We know that we need more women in engineering careers. It is shown that women in Science, Technology, Engineering and Math (STEM) careers make 33% more than non-STEM careers, yet women make up a much smaller percentage of the workforce in these careers. We want to help in bridging the gap. In an earlier blog post, Girls in STEM Hurdle, we addressed that it is important to young girls to feel comfortable in this environment. The earlier a girl is introduced to STEM activity and mentors, the better chance she has of feeling comfortable working in a STEM related position. We can all help now to encourage girls in STEM careers. To help you start brainstorming on ways to increase girls in STEM, we came up with 20 ideas to encourage, inspire, and motivate girls to choose STEM classes and careers. Create your own Engineering Day! 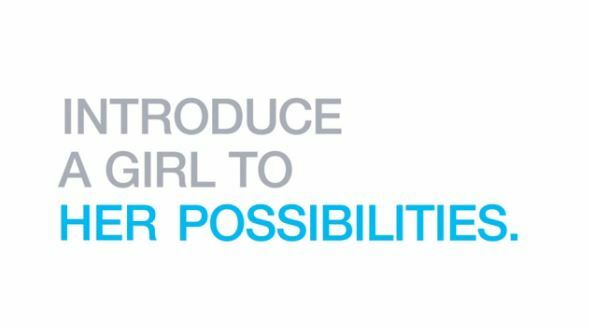 Visit forgirlsinscience.org for many profiles and ideas to get girls involved. Sponsored by L’Oreal, this site has a career quiz that girls can take to see what STEM career would best suit them (at least for right now) and also offers a career salary menu to understand average salaries in STEM careers. Get local engineers with diverse industry knowledge involved in the classroom. Use hands-on learning whenever possible. Allow group projects where girls can work in teams. Start an Engineering Club, especially in earlier grades. Introduce them to the women engineers on engineergirl.org (a site sponsored by Lockheed Martin) to learn more about successful women in engineering making a difference in the world around them. Celebrate Discovere.org’s ‘Girl Day’ on February 20, 2014. See program details. Host a special lunch for girls to learn more about STEM careers or have special industry speakers. Take a field trip to a local engineering firm. Mentor a group of girls. Girls are problem solvers, give them real world scenarios and see what they can create to meet the today’s challenges. Get to students before they make their own class choices. Introduce younger grades to your classroom before they choose electives and engage them in ‘trial’ projects that would inspire them. Sitting in the classroom to observe may make all the difference for girls who need to feel comfortable in the environment. Invite younger students to be mentored by older ones or just watch. Offer somewhat different versions of a project so girls stay interested and engaged. Using industry software so they can design in real world solutions and share their ideas with mentors and industry professionals. Get involved with GirlStart.org for free projects, and information on encouraging girls to STEM careers. Check out the Engineering the Earth module. Girl Scouts incorporate STEM into their activities now. Get together with local troops to mentor girls and spread the word. These are just some ideas. Feel free to share your own or email us with more ideas that have worked where you are. We will share them in a future post!